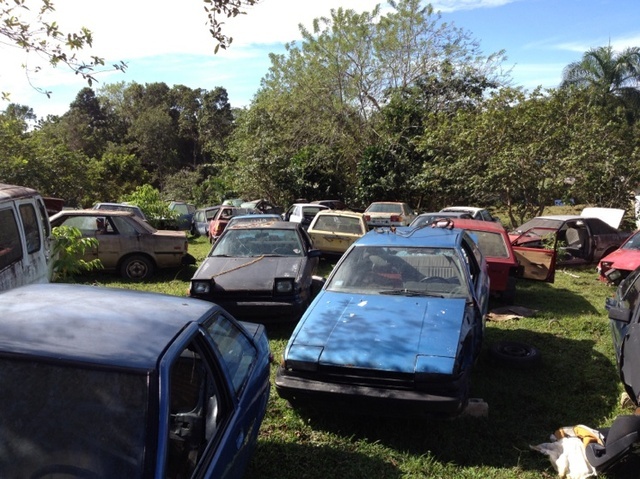 Wish we had Toyota specific junkyards like these in L.A or at least in SoCal in general. This one can be found in Puerto Rico. This entry was posted on March 10, 2012 at 1:56 AM and is filed under Cars with tags AE86, Sprinter, Toyota Corolla, Trueno. You can follow any responses to this entry through the RSS 2.0 feed. You can leave a response, or trackback from your own site. I’m from PR and i want to find this? Do you know the town?? I’m not sure where the location is. Sorry. Wish I knew too!